WEATHER: After early morning rain, heavy cloud persisted until lunchtime, then a warm spell of bright sunshine lasted until we reached the airport when it rained. 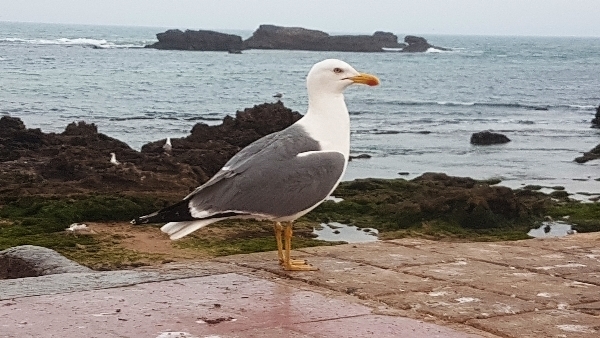 Our last day had arrived, we had time for some birding before we set off for the Airport at Marrakech so before breakfast we strolled round to the port at Essaouira. It was a busy place as many fishing boats were returning to port to unload their catches, hundreds of gulls scoured the area for scraps of fish. 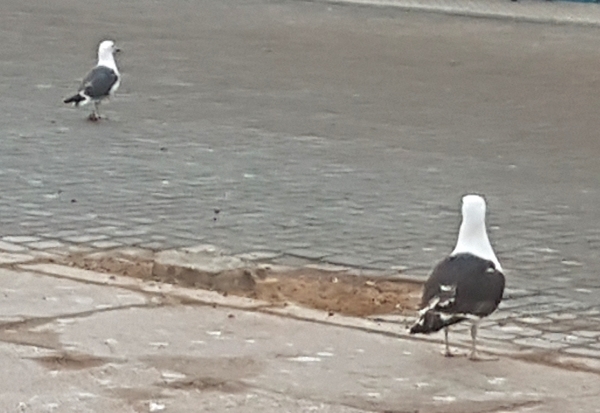 We found a Great Black-backed Gull, an usual sighting for this far south, a good bird for our list. We also found a couple of Ruddy Turnstones on the nearby rocks. Scanning the bay, we saw dozens of Sandwich Terns fishing with many more gulls in attendance. It was dull and quite chilly, so we didn’t stay out too long. By 8:45 we were all packed onto the bus and ready for the 4-hour journey to the airport. 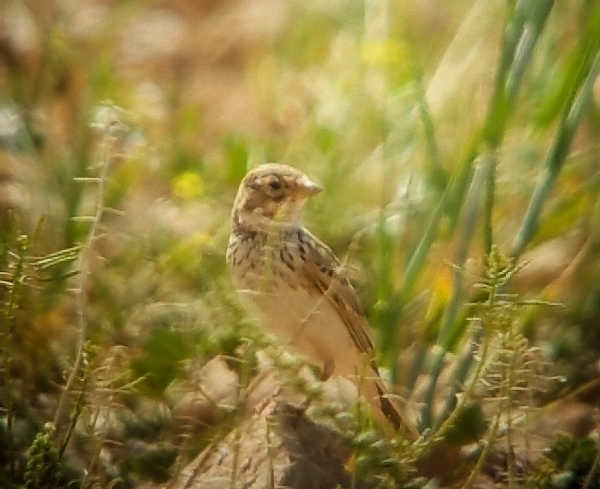 After about 90 minutes we stopped in an area of cultivated land where large fields of crops were surrounding by fallow fields of short grass, it was an ideal place to look for the larks that we had not yet seen. We quickly found a pair of Little Owls, these were about the third pair seen this morning. Then we discovered a family party of Tawny Pipits and soon after we noted many Skylarks, they dashed about as they paired off and some went up high singing. 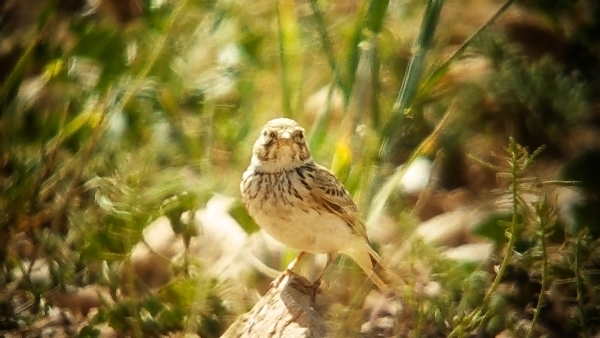 The Calandra Lark was much harder to find, it took quite a while and it was Dexter, our American companion that found them. 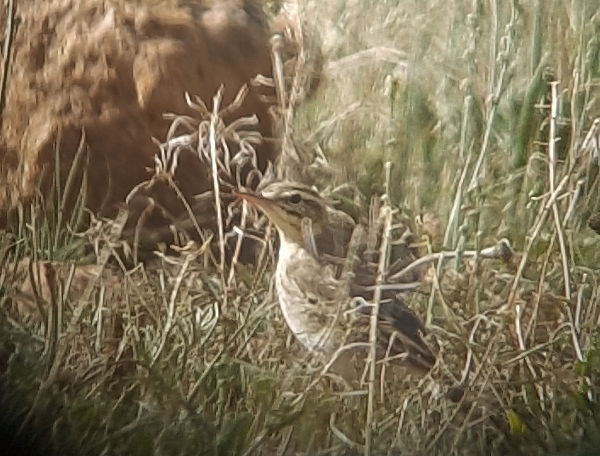 We then found Northern Wheatear and to our great enjoyment we discovered several Lesser Short-toed Larks. They were quite hard to get onto but eventually one dropped from the sky quite near to us and we scoped it well. The rest of the journey was made without much birding except when we stopped for lunch. 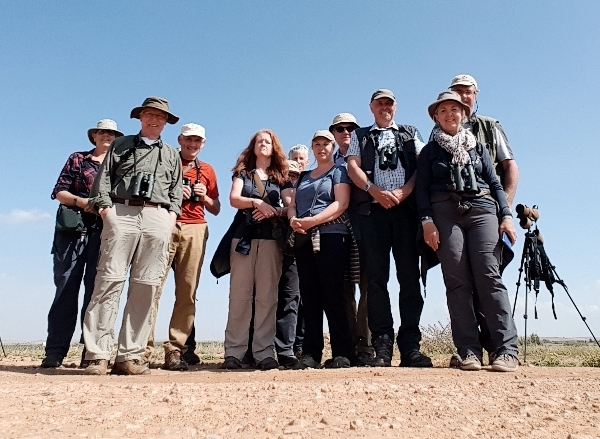 Most of us took a short walk after eating and enjoyed our last few birds of this wonderful trip. Turtle Doves, purred from the power lines and Little Swifts dashed into a disused building. Many small finches fed by the roadside, we saw Serin, Linnet, Goldfinch and Greenfinch. The last part of the journey took us into the suburbs of Marrakech and then into the airport, the trip was finally over. Most of the group went into the terminal building whilst 4 stayed on the bus, they were to be taken into the city for one more night. We said our farewells to Ahmed and Idriss our drivers and entered the terminal inn the rain!